There is no doubt – this has been the year of Women in AFL Football! It’s not been without it’s challenges, but how exciting has it been to see the professional women’s competition begin this year. And along with it has been a groundswell of girls getting involved in football. A few weeks ago, I got to work with the women in Football group at the WA Football Commission. Most of the women served on the boards of football clubs. The group included women on WAFL clubs, AFL clubs and the WA Football Commission itself. Many of them were the only female on their board. I’m researching for an upcoming workshop I’m facilitating – Any WA women in my networks keen to sit on a football club board? One of the ‘excuses’ that’s often proffered by the lack of women on football club boards is that ‘I can’t find any women that are interested!’. Well that was definitely not the case with my linkedin post! I have 20 women – just in my networks – that said they were keen to sit on a football club board! Given the huge focus on diversity in football at the moment, for example the introduction of the new AFL Women’s League and the development of the multicultural and indigenous footballers, this is a perfect opportunity to focus on diversifying the boards to become more reflective of the competition it serves as well as be better abled to meet the strategic and governance challenges through diversity of perspective. Wouldn’t it be great to flood Football club board member elections with female candidates seeking election? Let’s change the outlook and culture on football boards and show them women are interested! What are the pathways onto a football club board? If you are keen to serve on a football club board, here are 6 steps to take. If you follow a football club already then this could be really easy! If not, you’ve got Amateurs, WA Women’s Football League, WAFL, Football Development Councils both Regional and District, WA Country Football League, AFL clubs and the WA Football Commission. Here is the 2016 Annual report for the WAFC for more information about football in Western Australia. If you’re not already a member, you will need to start by joining a club. This gives you voting rights at AGM Board elections and also gives you an opportunity to nominate too! Board directors need to add value to the club. What skills and experience do you bring? Get really clear about the value you can provide. It could be financial skills, risk and audit, marketing, sponsorship, communications, governance, legal or game development. Find out what board committees are hosted as you might be able to serve on a committee first. As you will need to be elected through a members vote, it’s important to get known within a club. Attend club games and events, get involved in a committee, meet the current board directors and share your interest to serve on the board. Invest in building relationships with those currently on the board. Once you’ve met a few current board directors, reach out to someone who resonates most with you and ask if they would be willing to mentor or sponsor you, to support your journey onto a football club board. 6. 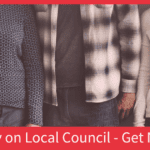 NOMINATE for a board position! Put your hat in the ring! Don’t be disappointed if it takes you a couple of nominations to get involved on a board. That’s what it’s all about! If you’re in WA and keen to hear more about the Women in Football events, you can reach out to Kerry Harris who works at the WAFC . If you’re in the eastern states of Australia, you can reach out to Michelle Redfern, who is a Director of Williamstown Football Club and does some exceptional work in advancing women in sport. 1. Why did you get involved in a football club board? I have always been a footy tragic and I think the role of sport to align and invigorate communities is huge so I was delighted to get the opportunity to put something back by taking on a Board role. 2. Can you give me a snapshot of the decisions/activities are you involved with as a board director? This is a really critical time for AFL clubs in WA right now with the move to the new Perth Stadium. This is a once in a lifetime opportunity to make the game day experience wonderful and to develop a new set of gameday rituals and traditions. (plus have easy access to things like toilets and great food and beverage options!) Freo have also moved from our old club facilities to the new Cockburn ARC which gives us access to the best training facilities in Australia but also a unique chance to integrate with the local community in everything we do. We also have the inaugural WA women’s team with all the excitement that generates. It has been incredible to be part of the groundswell of support for this and to see the explosion in numbers of girls signing on to be par of grassroots footy. 3. What strategies would you recommend to others interested in serving on a football club board? Get involved. Volunteer, be passionate. I was approached by the then President of Peel Thunder Football Club nearly 7 years to see if I had any interest in becoming more involved in the running of the club. 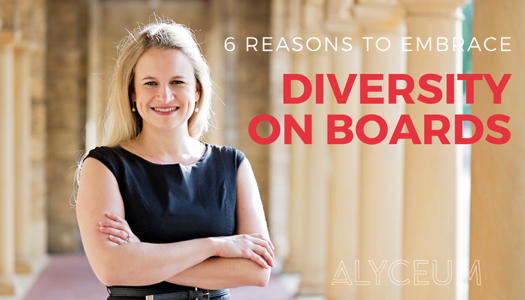 He was looking for more diversity on the board and also knew that I had some expertise in Marketing and networking. I had been a sponsor, member and contributor since the clubs inception, so it seemed a natural transition for me. I am currently the Vice President of the Board and still the only women on the Board with a group of amazing men. I head up the Commercial Operations, Marketing and Membership Committees. I help where I can with our major fundraisers being the Banquet Auction, Golf Day (which I am major sponsor). I attend every function I can (96%) so our members can see we are committed to the club. I make a point along with my colleagues of knowing every sponsors name, greeting each and every one of them when they are at the club and making every person member or non member feel welcome and wanted. I help the heads of the departments of marketing, Comm Ops and Membership (which are also women) with strategies to attract new business, new members and also help with computer, database and social media issues they may have, these being my strengths as well. I think it would be a wise thing to know how budgets, spreadsheets and forecasts work, having a business background with knowledge of how to run a business. I would find out what skill set they are looking for to improve the diversity of the board, the number of hours it is going to take up, the values and vision of the club, to make sure it marries up with your own. Spend some time at the club, get to know the members as they are the people who are going to vote you onto the board. Above all make sure that you are doing it for the right reasons!!! It is about the good of the club, its people, members and footballers. Too many times I have experienced people joining for their own ego and benefit and not interested in contributing – the passion is not there.